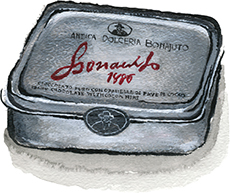 Bonajuto 1880 Chocolate Truffles with Nibs for sale. Buy online at Zingerman's Mail Order. Gourmet Gifts. Food Gifts.